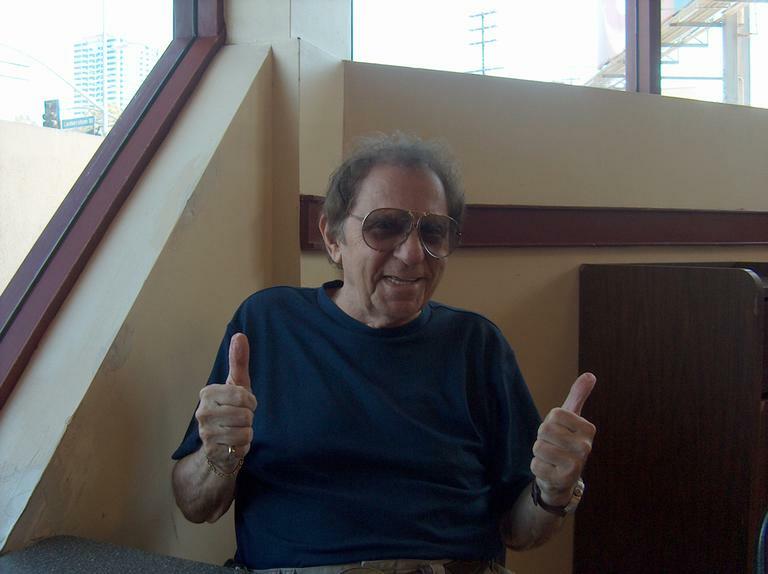 The late Bruce Gary, who played drums for the Knack, once said he was disappointed to find out that his 10 favorite drummers were all Hal Blaine. That's because Blaine played the drums on so many of the hit songs that were credited to bands like the Beach Boys and Simon & Garfunkel. Blaine is the main character in Kent Hartman's terrific book, "The Wrecking Crew: The Inside Story of Rock And Roll's Best-Kept Secret," excerpted below. Hal sent us this montage of just some of the songs he played drums on. 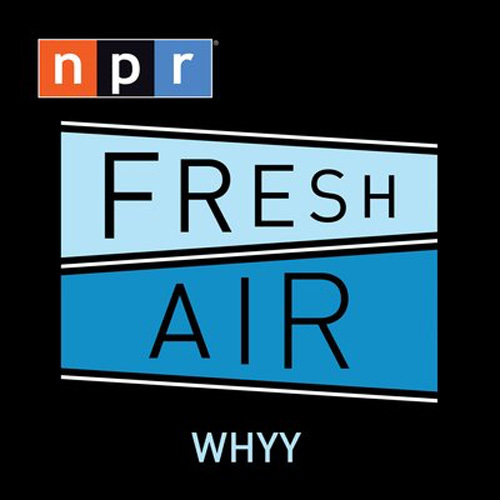 "The reason the producers wanted to hire Hal and everybody like him over and over, was that they played better and faster than they anybody you could get, and they had a natural feel for that music." Hartman told Robin Young. "In my opinion they were all mini-arrangers and they would add things to their parts that others wouldn't do. Hal and the others like him showed up with a bag of tricks and they knew just want to do to make a song a hit. 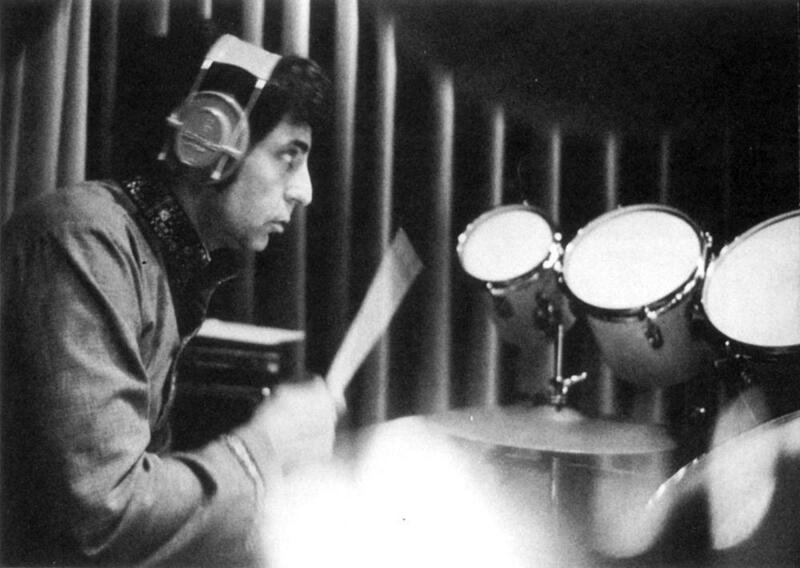 On Dean Martin's recording of "Houston" Hal Blaine tapped on a large glass ash tray in time with Martin's singing. "For some reason, I had the picture of a blacksmith with an anvil and the way they put the shoes on the horses," Blaine told Robin. Another member of the Wrecking Crew, keyboard player Larry Knechtel, came up with the piano arrangement that makes Simon and Garfunkel's "Bridge Over Troubled Water" so memorable. According to Kent Hartman's book, Paul Simon coaxed a gospel sound out of Knechtel's piano and they worked on the song for more than 70 takes. 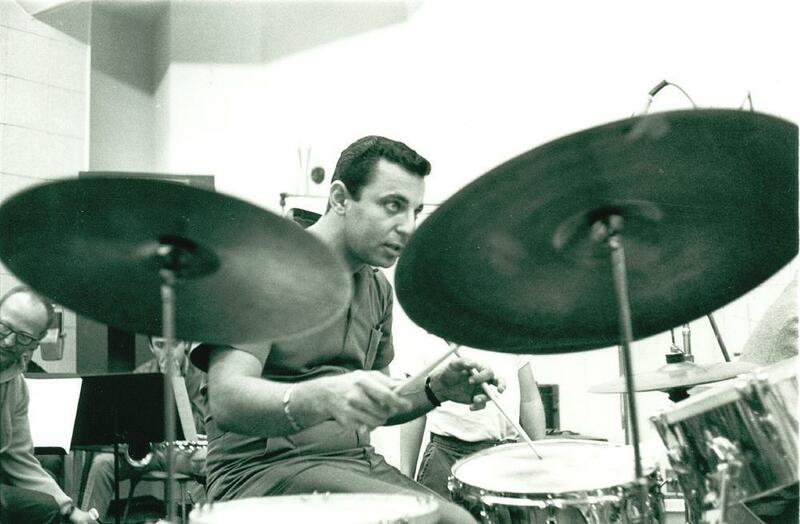 Hal Blaine again added the clincher. He says when he Paul Simon had played him "Bridge Over Troubled Water" he had a picture of a troubled man on a chain gang. So Blaine went to his car, got out his tire chains, and you can hear him dragging and slapping them on a cement floor in the song's third verse and dramatic conclusion. Book Excerpt: "The Wrecking Crew: The Inside Story of Rock and Roll’s Best-Kept Secret"
It all began during an automobile trip. Back in the summer of 1997, after a very quiet, almost- twenty- year hiatus, the hit- making Seventies soft rock group Bread surprised many by deciding to reunite for a grand finale world tour. With the quartet scheduled to play dozens of shows in the United States, Australia, New Zealand, South Africa, the UK, and other countries, their return caused quite a buzz. And by virtue of the company I owned at the time, where I frequently worked with well- known musicians of a certain vintage, I had been asked to design and manufacture all of Bread’s concert- merchandising products. One day mid- tour, while driving a rental car from the Sacramento airport to a beautiful little hideaway resort about two hours to the northwest on Clear Lake, I had along as my co- pilot the band’s bass player and keyboardist, Larry Knechtel. I had decided at the last minute to come out on the road for a short stretch to check on things, and Larry, in turn, had asked if he could catch a ride with me to that night’s gig. As we drove in the 100- plus- degree heat along the winding two-lane blacktop road through parched, pine tree– dotted hills, the quiet, self- effacing Knechtel— with some prompting on my part— slowly began to peel back the layers of his long and varied career. I knew that he had done some studio work for other recording artists in his earlier days. And I was well aware of his tenure with Bread, where he had played on David Gates– penned smashes like “Baby I’m-a Want You,” “Guitar Man,” and “Lost Without Your Love.” Those were a part of my youth; I started buying 45s and albums in earnest at the age of ten in the summer of 1970, right around the time of Bread’s first hit (“Make It with You”). But what I had no idea about was the sheer magnitude of all the non-Bread work the fifty- seven-year-old Knechtel had done. Like playing the Hammond organ on “Good Vibrations.” And the Fender bass on “Light My Fire.” Not to mention the killer barrel house piano on “Rockin’ Pneumonia and the Boogie Woogie Flu.” Three classics on which he had played three different instruments. Who was this guy, anyway? Well, it didn’t take too much more conversation to realize that, in music biz parlance, the mild mannered gray-haired fellow sitting on my right was a total monster. Yet there was more. Much more. As we drove farther, Knechtel filled me in on the fascinating fact that he wasn’t the only one who had done this extraordinary kind of work. He told me that during the Sixties and early Seventies he had teamed with a small number of similarly talented musicians (known today as the Wrecking Crew) who had secretly played the instruments on most of the records of any consequence that came out of Los Angeles. From Phil Spector to the Beach Boys, from the Mamas & the Papas to the Byrds, some combination of these players was responsible for the instrumentation on literally thousands of songs by hundreds of artists. To say that I was stunned would have been an understatement. Here I was, a guy actually working in the industry, someone who prided himself on knowing a fair amount about who played what on which songs, and I clearly didn’t know the tenth of it. It got me to thinking. If I was so woefully unaware of this stealth-like group of crackerjack players who routinely took the place of the real band members on one chart- topping song after another, then maybe others out there were equally in the dark. But, with life being life, my discovery somehow managed to fade into the fusty recesses of my mind for almost another ten years. Teaching marketing at a couple of universities, producing a daily syndicated radio feature about classic comedians, and working with various musicians and record labels all seemed to take precedence. Finally, though, I decided that the tale of these great musicians had to be told. Having started doing some freelance writing for a couple of local newspapers, I thought that the story might make an interesting magazine article. So I e-mailed a pitch letter to Richard Snow, the then- editor- in- chief of American Heritage magazine. Remarkably, within hours I had my reply: he had always wondered about this very subject and would be delighted to offer me a contract to write a feature piece about these mysterious sidemen. 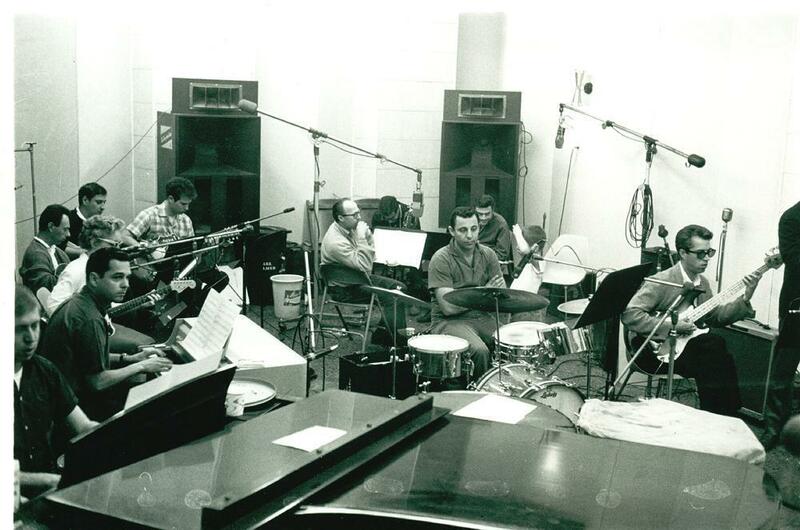 After the article came out to a positive reception in 2007, including a mention in The New York Times, it became clear to me that the uniqueness of the Wrecking Crew’s story— especially regarding what really happened behind those closed studio doors— would make an even better book. There was just so much more to tell. One fantastic literary agent, editor, and publisher later, that book now exists. And there are a few important points to make regarding the contents. First, about the name. The Wrecking Crew’s moniker is undeniably the creation of the drummer Hal Blaine, who, by virtually unanimous agreement, sat front and center as the unofficial dean of the whole bunch. His skills, charisma, and sense of humor were mentioned to me time and again by almost everyone I interviewed— from producers to stars to fellow players— as being the cornerstone of much of what went on during the countless number of recording dates. If you didn’t have Hal, you wanted to get Hal. In the early Sixties, as Blaine and the other young T-shirt and blue jean– clad session musicians began their ascent in the business, some of the older, more established, coat- and- tie- wearing musicians became resentful. They felt that this new breed of rock and roll– playing studio hand was going to somehow wreck the business. It was hard to tell which they hated more: the lack of a dress code or the burgeoning style of music. Maybe it was just a matter of professional jealousy over getting aced out by their more youthful, hipper counterparts. Or, more likely, some combination thereof. In any event, the old guard was headed the way of the Victrola, and they knew it. The Wrecking Crew had become the coveted new set of hired guns in town. Crew’s name, it is hard to say. Some of the studio musicians I interviewed swear they heard it applied to themselves as early as 1963; others say it was later. One says it was never used at all. Nevertheless, over the decades the Wrecking Crew’s name has become culturally ingrained. So much so that it is now universally used to refer to these great players. Not one person I interviewed ever wondered whom I was talking about. Like “Woodstock” and “Watergate,” the term is now a permanent part of our historical lexicon. As proof, no less an institution than the Rock and Roll Hall of Fame made a point of using the Wrecking Crew name when inducting Hal Blaine, Steve Douglas, and Earl Palmer into their ranks (under the sidemen category) a number of years ago. That’s plenty good enough for me. Speaking of the Rock and Roll Hall of Fame, we’ve all gotten used to seeing the phrase as “rock ’n’ roll” and “rock & roll” (among other variations) over the years. Everyone has their favorite way of seeing it and writing it. I’ve elected to go with “rock and roll” as the standardized terminology throughout this book. Again, I defer to the good folks at the RRHOF, who are the generally accepted standard- bearers of all things that, well, rock and roll. In doing research for this book (and for the article before it), I conducted several hundred hours of taped interviews over a multi- year period with virtually anybody I could find who had been in the Wrecking Crew or had been associated with them. The vast majority of the anecdotes within these pages came to me firsthand or were told to me by someone who knew the players. Dialogue was taken directly from the tapes. It is of the utmost importance to me to be true to the joyous and sometimes tragic journeys of these marvelous musicians. I’m often asked about how many people were actually in the Wrecking Crew. Was it fifteen? Twenty? More? The best answer to that question is yes; there was no exact number. But there did exist a small, tight- knit core group of about a couple of dozen who played on a hugely disproportionate share of the hits. The lives and careers of those individuals are the primary focus of this book, with a special spotlight being placed on Glen Campbell (the eventual solo superstar), Carol Kaye (the lone female), and Hal Blaine (the drummer- in- chief, whose name Bruce Springsteen has been known to shout out in joy during concerts when E Street Band drummer Max Weinberg plays a particularly Blaine-like lick). Campbell, Kaye, and Blaine’s indelible, interwoven set of experiences provides the backbone of the narrative. As for why the various members of the Wrecking Crew became the favored choices among so many producers and arrangers, there existed a variety of reasons, almost always relating in some way to the intersection of time and money. And sometimes, understandably, the real band members didn’t cotton to being replaced on their own material. But how the individual instrumental parts work together is what making a record— a good record, anyway— is all about. That is perhaps the biggest reason why the Wrecking Crew had such an incredible run. They were able to create the appropriate hit- making blend of sounds better and faster than anyone. Motown had its Funk Brothers. Nashville had the A-Team. New York and Memphis also had their own top- of- the- line sidemen. Every genre and locale had (and has) its own cast of supporting players. But if a rock- and-roll song came out of an LA recording studio from between about 1962 and 1972, the odds are good that some combination of the Wrecking Crew played the instruments. No single group of musicians has ever played on more hits in support of more stars than this superbly talented— yet virtually anonymous— group of men (and one woman). Now it’s their turn to step forward and assume center stage. And, by the way, the next time you listen to some of your favorite groups from the Sixties, please don’t be upset. I never knew it was really the Wrecking Crew, either. From "The Wrecking Crew" by Kent Hartman. Copyright © 2012 by the author and reprinted by permission of St. Martin’s Press, LLC. This segment aired on April 20, 2012.